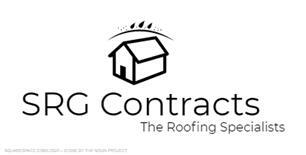 S R G Contracts - Roofer based in Salsburgh, Lanarkshire. At SRG Contracts, our clients are our number one priority and we go the extra mile to make sure they’re completely satisfied. We’re fully prepared to tackle even the most complex projects and stand by the exceptional quality of our work. Call us today and find out more about what we can do for you. If you’re looking for a reliable, efficient, and trustworthy contractor, you’ve definitely come to the right place. SRG Contracts believes we are the absolute best and really knows how to deliver. You won’t be let down!” Specialising in all aspects of roofing, building, guttering, painting and exterior maintenance SRG Contracts are here to help. Bearsden, Clarkson, Giffnock, Glasgow, Glasgow City, Lanarkshire, Milngavie, Newlands, Newton Mearns, Perthshire, Rutherglen, Shawlands, Stirlingshire, within 100 miles of Glasgow.